German columns advance past immobilized Russian tanks, July 1941. From the moment the first Wehrmacht tank crossed the Soviet border in 1941 until the Battle of Stalingrad in the winter of 1942-43, German victory in World War II seemed inevitable. The fighting on the Eastern Front took place on a scale never seen before or since, a colossal undertaking that consumed three-quarters of all combat forces in Europe, and cost the lives of over twenty-five million Soviet citizens. The war could not have been won without the Soviet front, and even after the Red Army had successfully defended Moscow and Stalingrad, while holding out in besieged Leningrad, victory was far from certain. The summer offensive of 1943, culminating in the Battle of Kursk—the largest tank battle ever fought by man—finally pushed the Germans onto the defensive. It was not until Operation Bagration, the 1944 summer offensive, that the German ability to conduct offensive operations was curtailed once and for all. The means of securing combat operations and the daily activities of forces; a complexity of measures, directed to mislead the enemy regarding the presence and disposition of forces, various military objectives, their condition, combat readiness and operations, and also the plans of the command … Maskirovka contributes to the achievement of surprise for the actions of forces, the preservation of combat readiness, and the increased survivability of objectives. The Soviets invented the art of maskirovka, and perfected it over the course of World War II. By the summer of 1944, it was second-nature, and the operational planning reflected this. In absolute secrecy, the Soviet High Command (Stavka) managed to position over 2.3 million men and the necessary supplies, all the while deceiving the Wehrmacht as to the actual objectives of the offensive. It is no stretch to say that Operation Bagration would have unfolded far more poorly without the extensive deception operations, and as it marked an end to any chance of a German victory, the maskirovka so skillfully executed in the summer of 1944 in fact shortened World War II by a substantial amount. 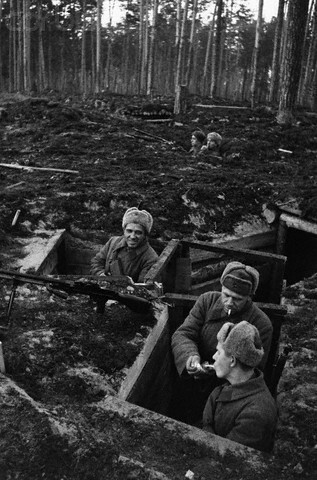 The situation on the eastern front by May of 1944 was favorable for the Red Army, but the overriding question was as to where an offensive might be launched. Stavka hoped to coincide the time of their push to the east with the Allied invasion of Western Europe. Successful attacks in January had relieved the three-year Siege of Leningrad, and Ukraine had been fully reclaimed by the end of April. The overwhelming failure of Germany’s ‘Operation Citadel’ in the Kursk salient the summer before left the entire eastern front in a state of limbo. At hand were several possibilities. 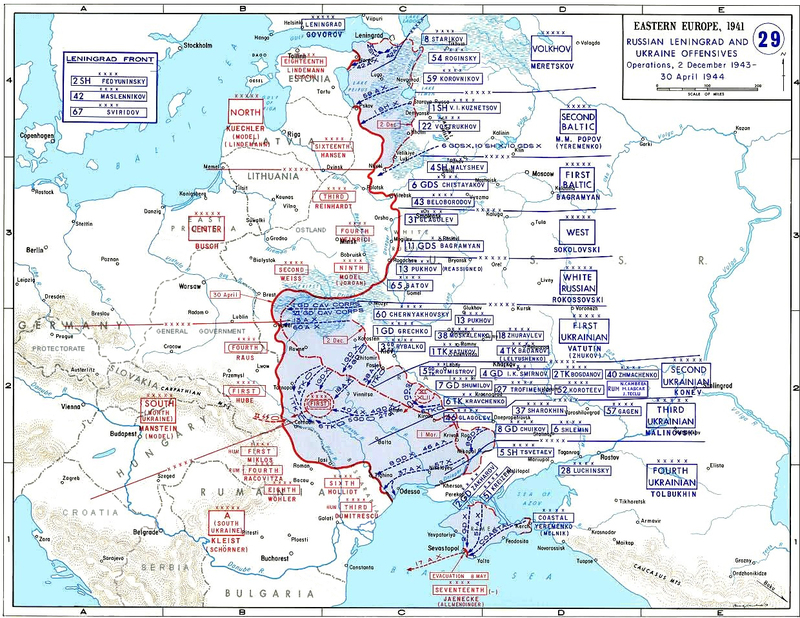 The Eastern Front as of April, 1944. In the south, the three Ukrainian Fronts were poised to either enter the promising targets of Romania, Hungary, and the Balkans, with the beginning of the European steppe allowing for an increased tempo of armored operations, or drive north from Ukraine into Germany itself. The northern sector held the tempting possibility of exacting revenge on Finland for its allegiance to Hitler and reoccupation of the Soviet gains made during the Winter War. Any attempt to dislodge the defenders in the Baltic region would be difficult, as the terrain was unfavorable and not of any particular strategic importance. The paths that an assault out of Ukraine might take would expose the Soviet forces to strong German forces on either side. On the other hand, the German Army Group Centre had proven impossible to defeat before, and an offensive into Belorussia would pit the Red Army directly against it. The Pripyat Marshes stretching across Belorussia and into Poland were swampy, heavily wooded ground not at all conducive to maneuver warfare. Nevertheless, Belorussia remained the last part of the Soviet Union under German occupation, and thus carried a symbolic resonance that helped settle the matter in its favor. 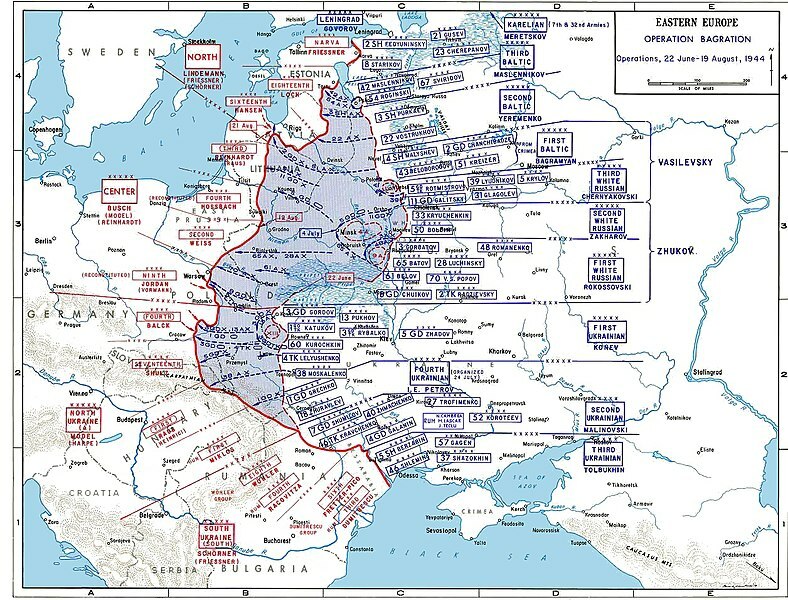 The summer offensive would take place in the center, and the objective would be the final liberation of the entire Soviet Union and the destruction of the German Army. As for where the blow might fall, FHO consistently stuck to their original assumptions that it would be in northern Ukraine. These had been reached in March, when it was declared that “the available operational possibilities in the area between the Black Sea and the Pripyat region will influence the future enemy combat leadership.” FHO was not entirely responsible for its failings, of course; it was the Soviet maskirovka campaign that did nothing to deter the Germans from preparing to defend Ukraine. However, blame also must fall on the High Command of the German Army (OKH), who consistently underestimated and misjudged their Soviet counterparts. The Soviet operational plan for Operation “Bagration” was fairly simple, albeit on a massive scale. In the first phase, the 1st Baltic and 3rd Belorussian Fronts would attack from Vitebsk in the north, and the 2nd Belorussian Front, with support from the 1st Belorussian, would drive towards Minsk from the salient created by virtue of Soviet reoccupation of Ukraine. This would encircle Army Group Centre, followed by the second phase of a broad frontal assault across the entire Minsk Oblast. Subsequent revisions called for the 2nd Baltic Front to launch diversionary attacks on Army Group North, assisted by elements of the 1st Baltic Front. Not just elements, but all of the 1st Belorussian Front would join in the southern pincer. Operation Bagration, June 22-August 19, 1944. The strategic portion of the deception operations consisted of two components: to conceal the movements of four fronts into their actual staging position, and to simultaneously deceive the German Army into thinking that the main thrust would come in the south. Keeping the existence of 1.7 million men under wraps was a monumental undertaking. Precautions were taken to keep our intentions secret. Only a very narrow circle of people were directly engaged in working out the plans of the summer campaign as a whole and the Belorussian operation, in particular. They were, in fact, fully known to only five people … All correspondence on this subject as well as telephone conversations or telegraph messages were strictly forbidden and a very strict check was kept on this. Proposals from the front concerning operations were also dealt with by only two or three people, were usually written by hand and reported, as a rule, by the commanders in person. An American-made Allis-Chalmers tractor tows Soviet B-4 wheeled artillery to the front in Operation Bagration, 1944. The divisions that would be committed to the attack on Army Group Centre came from across the entire length of the front. Some traveled from as far as the Crimea, and others had to move 2,500 kilometers just to be in position. Every front was assigned 12,000 3-ton trucks, which moved in 25,000-ton lots on a daily basis to increase the flexibility of the supply chain, and avoid costly bottlenecks. Nearly 50,000 vehicles were on the roads by night only, in full blackout condition and aided only by traffic control units of the Red Army. All headquarters were required to maintain constant air and ground control over the effectiveness with which all activities at the front were concealed from the enemy. He was to see only what we wanted him to see … In many places we built fake crossings and roads. Guns were concentrated on secondary lines, from which they launched artillery attacks and were then removed to the rear: dummies being left there on the firing positions. As it stood, the numbers were not particularly favorable for the Soviets. One million Soviet soldiers faced 850,000 Germans, which did not satisfy Stavka. To reinforce the four fronts preparing to invade Belorussia, it was determined that it would be necessary to add five combined arms armies, two tank armies, an air army, the 1st Polish Army, five tank corps, two mechanized corps, and four cavalry corps. In terms of supply, this meant 3,000 tanks, 10,000 guns and mortars, 300,000 tons of fuel and lubricants, and 500,000 cans of rations. Done only by night, the trains would then head back to the rear by day, loaded with mock-ups of tanks and guns. A Soviet armored train in combat at night. By June 9, some difficulties were surfacing, and the trains began running behind schedule. Part of this was owing to secrecy: the six hours of night in June limited the hours of operation, and so Stalin opted to delay the offensive from June 14 to June 23. While the western Soviet Union had a far greater rail capacity than the areas around Stalingrad and Kursk, portions of the rail net were only single-tracked, and coupled with fact that roughly twenty percent of the daily trains were dedicated to regular maintenance and upkeep supplies, only 80 trains were bringing in fresh men and materiel. Front, army, and divisional newspapers published material only on defence matters. All talks to the troops were about maintaining a firm hold on present positions. Powerful radio stations were temporarily closed down. Only low-power transmitters not less than 60 kilometres from the front-line and using shortened aerials under special radio control were used for the training radio network. An officer in the Soviet Army, Nikolai Belov, had kept a sporadic diary throughout his service. He was just as lulled by the calm as FHO was, until Zhukov visited. On June 18, he wrote that “there are grounds for thinking that we’ll go into the attack on 21 or 22 June, which happens to be the third anniversary of the war. It’s interesting that 21 June is also four months since we crossed the Dnepr. For some reason I have been feeling physically poor lately, and my nerves are utterly shattered … There are no letters from home, the devil take them … We’ll soon be in battle, and then I’ll forget everything. The whole thing is unpleasant and pretty strange.” Soon, it would begin, and the retaking of the Soviet Union would reach its peak. The Soviet main effort would continue in the South towards the Balkans, where it would take advantage of the clearly shaky state of Germany’s allies and finally establish the long-coveted Soviet hegemony in southeastern Europe. North of the Pripyat Marshes, the Eastern Intelligence Branch [of OKH] predicted the front would stay quiet. 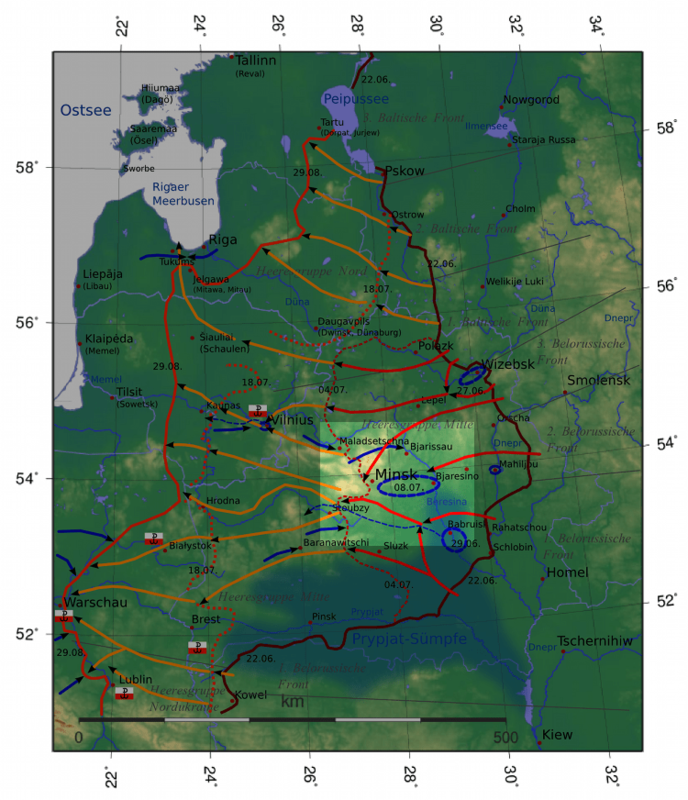 Soviet air activity in Ukraine was increased, but the occasional German reconnaissance flight was allowed to pass over the lines and photograph the ‘armies’ that were gathering there. Generally, staging the false units required ten percent of the equipment and weaponry for every formation represented. Soviet soldier lighting his fellow soldier's cigarette, 1944. At this point in the war, the Soviets had figured out a successful formula, which for a single rifle or tank division was 1 rifle or tank company, 100 mock-up tanks and self-propelled assault guns, 1 battery and 20 to 30 mock-up guns, 10 vehicles, 60 to 80 mock-up vehicles, and 10 to 12 mock-up field kitchens. This was multiplied many times over, as it was decided that the front-line units could not be disguised, but the main intention was to divert attention away from the actual reinforcements in Belorussia and instead focus them on the false reserves that were ‘entering’ Ukraine. To intensify the light effect, two teams of 15 men each were allocated, equipped with flashlights. The soldiers, dispersed at 30-50 meter intervals, moved along the route to assembly areas, turning on the flashlights from time to time. With the appearance of a German aircraft, all lights were lit. After the aircraft passed, the team boarded its vehicle and moved forward 5-10 kilometers, where it continued its work. For the tank armies that had moved north, the deception required 4 combat engineer battalions, 2 rifle regiments, 2 artillery battalions, 1 antiaircraft company, 150 disassembled T-34 tank mock-ups, 2 powerful loudspeaker units, 3 radio battalion stations, and 8 vehicles – surprisingly little men and materiel to represent such huge forces. They were helped by limited-objective offensives launched into western Ukraine, which further convinced Army Group North Ukraine’s commander, Field Marshal Ernst Busch, that he was to bear the brunt of the Soviet assault. Elements of the Soviet 27th Army and 2nd Tank Army, fielding the new IS heavy tanks for the first time, encountered the German Großdeutschland-division across the River Prut on the Romanian border, and were repulsed, but it was enough to convince Busch that he had scored a major success against the main Soviet offensive. While FHO intelligence continued to estimate a major battle in Ukraine, Army Group Centre’s intelligence was fairly accurate. They correctly dated the start of the offensive at some time in mid-to-late June, and had managed to penetrate the Soviet line in Belorussia far enough to detect a buildup of more than 1,850 new aircraft in the region, as well as a major increase in the concentration of artillery. On the eve of Bagration, Army Group Centre had identified 140 of 168 Soviet divisions, although they completely missed 5th Guards Tank Army and 6th Guards Army, as well as 7 of 10 armored and mechanized corps. Even the highest estimates of the strength of Soviet armor placed it at 1,800 tanks, when in reality the number was around 5,200 tanks and self-propelled artillery. 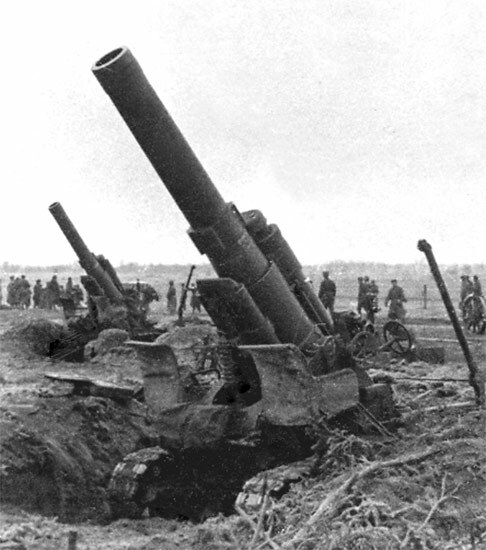 Soviet B-4 artillery dug in on the Byelorussian front, 1944. Even when increases were detected, such as Third Panzer Army’s discovery that “100 new guns” had appeared in their sector, the Soviet artillery preponderance was such that there were 200 guns for every single kilometer of front. FHO had already settled on defending against a Ukrainian offensive, and so the warnings from the German front-line armies were ignored. German reinforcements were not moved north; they instead would wait for the Soviets to come to them. Most of Army Group Centre’s reserves were dispatched to Army Group North Ukraine, along with much of the new equipment being produced in Germany. This was not corrected until two weeks after Operation Bagration commenced. Once the main offensive thrust in Belorussia became clear, German divisions began redeploying to the north, but at the same time yet another maskirovka campaign was underway in Ukraine. Two weeks after the initial attack began, the 1st Ukrainian Front launched its own assault exactly where OKH had predicted the initial one. By then, though, it was too late, and the Soviets in the south soon matched the gains of their comrades in the north. Finally, after the delays caused by heavy rail traffic, all units were deemed in position. Operation Bagration commenced on June 22, 1944—three years to the day since the first German had set foot on Soviet soil. The Red Army made quick and massive territorial gains, driving to Orsha by June 26, Vitebsk the next day, and Mogilev the day after that. The defeat at Vitebsk resulted in 20,000 Germans killed and 10,000 taken prisoner. Soviet mechanized forces reached as far as the Berezina River more than 200 kilometers away by June 28. The fight for Bobriusk, June 1944. The heavily fortified city of Bobruisk, held by the German Ninth Army, was liberated on June 29, and battered German forces continued their long retreat to the west. Busch had managed to evacuate the Army Group Centre headquarters from Vitebsk before it was overrun, but lost the majority of his reserves; the entire LII Corps was wiped out. He flew back to Obersalzburg on June 26 to try and persuade Hitler that his festerplatz order, that all cities should be held at all costs, be abandoned. Hitler refused and Field Marshal Busch was sacked as the commander of Army Group Centre, to be replaced by Field Marshal Walther Model. In a single week of fighting, the 1st Belorussian Front alone had captured or destroyed 366 armored vehicles and 2,664 artillery pieces, killed 50,000 German soldiers, and captured 20,000. Over the next five days, two whole Soviet fronts closed on Minsk and encircled the pocket there, while Model attempted to reform a defensive line around Lida. Minsk was only defended by 1,800 troops, and with a rabble of 35,000 stragglers, wounded and rear echelon staff attempting to flee. On July 3, units from the 2nd Guards Tank Corps were the first to enter Minsk; the city fell the next day. Those Germans who could flee the pocket attempted to do so; the Soviet pursuit was limited, as the unexpected pace of the invasion had left the supply chain overextended. The retaking of Minsk, June 1944. The encirclement of Minsk was blindingly fast, surpassing even Stavka expectations by 12 days. It had taken only eleven days to advance 400 kilometers. 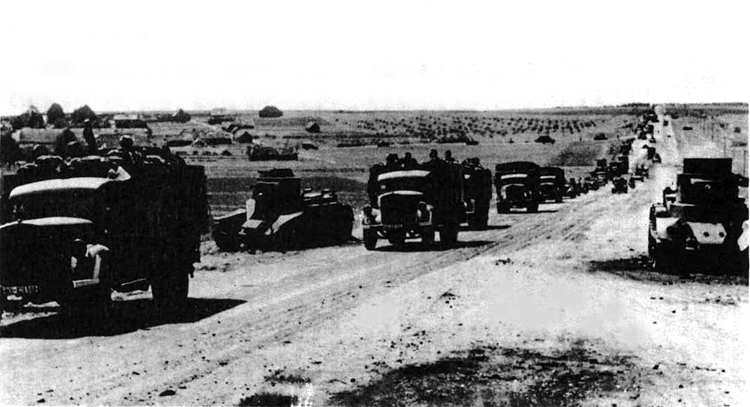 The speed was enough to require a temporary halt in operations while Soviet logistics were worked out—already, trucks were making trips twice as long as had been planned for at this stage in the offensive. The Germans, caught unaware and ill-prepared, lost 28 divisions with some 350,000 men in them. In less than two weeks, more men and materiel had been destroyed than at Stalingrad over a year earlier. While this was just the first phase of Operation Bagration (Stavka had updated the objectives on June 28 to include the major cities along the Soviet-Polish border, encompassing Kaunus, Grodno, Bialystok, and Brest-Litovsk), it struck a tremendous blow to the Wehrmacht, utterly crushing all of Army Group Centre and several of the Luftwaffe’s precious remaining divisions. Along with the near-simultaneous Allied landings at Normandy, Germany was now fighting the two-front war Hitler had wanted to avoid from the start, and had been pushed back almost to within its own borders. 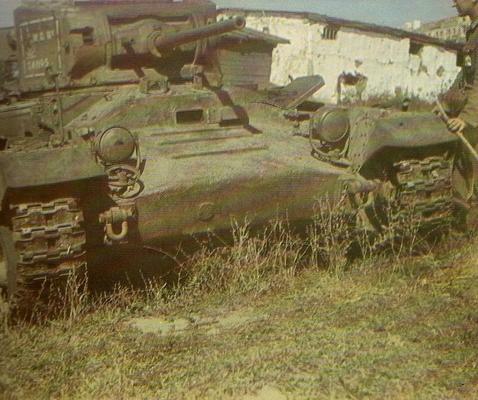 A destroyed Soviet Valentine tank in southern Russia, 1944. Even after the operation had begun, FHO continued to place Soviet armies in the wrong location, and as late as July 3, Hitler still believed that the attack on Army Group Centre was a diversionary tactic for the main offensive in Ukraine. Just how crucial the element of surprise was can be determined from the later experience of those units participating in the initial invasion. In the first 12 days of Bagration, Lieutenant Pavel Rotmistrov’s 5th Guards Tank Army lost 83 tanks and artillery for every 100 kilometers they advanced. Over the next 12 days, that ratio changed to 135 for every 100. Once the shock had worn off, the Soviets suffered far more. The success of Operation Bagration ‘sealed the deal’ for Germany in the east. The loss of 350,000 men represented roughly one-sixth of the total German manpower on the eastern front, and the additional 600,000 German missing meant that the summer offensive of 1944 had taken 43 percent of the German Army out of the war. The victory did not come without a cost: Soviet losses between June 22 and August 30 of 1944 were 180,000. Nevertheless, without the maskirovka so skillfully executed, those numbers would have been far greater. Once the Germans had been successfully deceived, the only barrier to further Soviet gains was logistics, and that was overcome eventually—within a year, the Red Army reached Berlin. Catherine Merridale, Ivan’s War: Life and Death in the Red Army, 1939-1945 (New York: Metropolitan Books, 2006), 3-4. David M. Glantz, Soviet Military Deception in the Second World War (London: Frank Cass, 1989), 2, quoting Yefrimov. Much of this is based on Colonel Glantz’s unparalleled work on the wartime Soviet Army, and particularly the various maskirovka operations throughout. Gerhard L. Weinberg, A World at Arms: A Global History of World War II (New York: Cambridge University Press, 2005), 658. Steven J. Zaloga, Bagration 1944: The Destruction of Army Group Centre (Oxford: Osprey, 2000), 10. Paul Adair, Hitler’s Greatest Defeat: The Collapse of Army Group Centre, June 1944 (London: Cassell, 2001), 49-51. David Thomas, “Foreign Armies East and German Military Intelligence in Russia 1941-45,” Journal of Contemporary History 22.2 (1987), 287. Walter S. Dunn, Jr., Soviet Blitzkrieg: The Battle for White Russia, 1944 (Mechanicsburg, Pa.: Stackpole, 2008), 22-23. Glantz, Soviet Military Deception in the Second World War, 356, quoting Shtemenko. Glantz, Soviet Military Deception in the Second World War, 357. Jon Latimer, Deception in War (New York: Overlook, 2001), 253, quoting Rokossovsky. Glantz, Soviet Military Deception in the Second World War, 362, 369. Lt. Col. Richard N. Armstrong, Soviet Operational Deception: The Red Cloak (Fort Leavenworth, Kan.: Combat Studies Institute, 1988), 18, quoting Ziemke. Glantz, Soviet Military Deception in the Second World War, quoting Ziemke. Tom Donnelly and Sean Naylor, Clash of Chariots: The Great Tank Battles (New York: Berkley Books, 1996), 132. Glantz, Soviet Military Intelligence in War, 378-379. Glantz, Soviet Military Deception in the Second World War, 429. Dunn, 225, adapted from figures given within. Good read until the end, where your numbers were off. The German loss of 350,000 included dead and missing (including POWs). The 600,000 could be wounded, but that is actually on the high side. The Soviet loss of 180,000 were those KIA. That figure does not include wounded, which were another 500,000 or so. Still, Bagration was the death blow to German Army, especially when combined with the disasters they were incurred in the Ukraine, and later in on Romania. Thanks for the heads-up (and the compliment). Unfortunately I don’t have the book I pulled those from in front of me at the moment, but I’m sure you’re right and that I misread it. If you are in the DC area, would you like to do a presentation on this material? Where would the Russian army have been on April 1945 had Gen Eisenhower decided to postpone the Normandy Invasion until the Spring of 1945? Remember Ike gambled that impending storms would not hit Normandy until the 2nd or 3rd week of June, 1944 thus allowing allied troops time to secure beachheads by June 11th,. If not because of Normandy, the Red Army would’ve been all over continental Europe by war’s end.